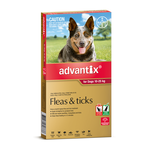 Just the bite of one paralysis tick is enough to cause fatal paralysis in dogs of any size. 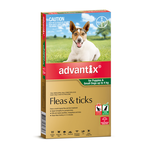 If you and your dog live in or are planning to visit a paralysis tick area, reliable tick prevention is essential. 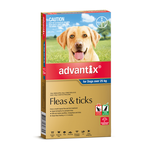 Advantix is an easy to use spot on treatment that doesn’t just kill ticks, fleas and biting insects, it actively repels them to stop them biting your dog. 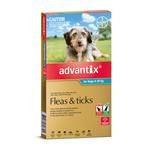 Use Advantix fortnightly to protect your dog from deadly paralysis ticks, or monthly to control fleas, mosquitoes, stable flies and other biting insects.